New Super Rich Silica Compound using the very latest compounding technology to enhance wet grip. 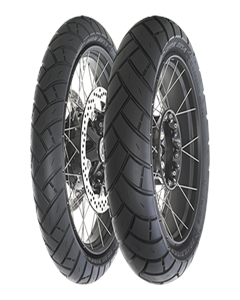 Multi-compound treads on radial rears to enhance mileage and grip. High tech carcass construction and next generation compounds deliver superb grip and handling. Interlocking three dimensional points hidden in the sipes to improve stability and grip, limit tread flex and allow the tyre to warm up quickly – 3D SIPES (radial tyres).